I'm Waving The White Flag Of Motherhood Because It Feels Too Hard! I strapped my 18 month old onto my back with my Ergo carrier, lifted my 3-year-old into the front of the massive Costco cart, and clipped my purse onto the side. The straps from the backpack nestled just below and above my protruding pregnant belly-I was 8 months along. It took me 20 minutes just to find a cart and load everyone up so I could leave the parking lot. It was my weekly routine, huffing it up and down a massive warehouse of groceries and products, waddling ridiculously, chirping happily to point out items of interest to my toddler and preschooler in order to avoid any meltdowns. It took everything in me to check all the items off my list, get through long lines at checkout, load kids and then groceries into my car, drive home, unload kids and occupy them while I unloaded, and then put away all my food items before they melted into puddles. Sometimes they cried, and so did I. That was when it was easy. After the third baby was born, well, I’ll spare you the details. It was enough to make even me, an eternal optimist and positive-thinker, dissolve in defeat. It was HARD. And that was just the first half of one day a week. Did I mention that I have all boys? I grew up being a bit of a tom-boy, but I am a girly girl. I’m most delighted when I can get a pedicure with leopard print polish, and I’m wearing a gorgeous flouncy skirt and stilettos. My guilty pleasure is flipping through fashion magazines. But I spend most days wrestling on the floor, designing paper airplanes, and trying to understand why passing gas is so much fun. Our family vacations often consist of camping when my idea of a getaway is lounging at a resort. If I didn’t feel so totally convicted that God wanted me right where I was, I would have surely considered other options. I wanted to be a teacher since grade school. I set my mind to follow in my teacher’s footsteps, and I took a teaching position right after graduation. I felt alive and in my element as a teacher. After my first two years teaching, my Alma Mater from high school invited me to interview for a position in the English department. The teacher who inspired me to teach was leaving and I was about to be hired to take her place. Talk about poetry in motion. I taught for nearly 10 years. I felt most alive standing in front of my tenth, eleventh, and twelfth graders, teaching them the art of rhetoric, exploring why Steinbeck wanted to portray the everyman character in his works of literature, and mentoring teen girls on my lunch breaks. It was a vibrant chapter for me and I was successful because I was doing what I felt God gifted me to do. My Advanced Placement classes scored the highest national test scores of any subject area in the history of the blue-ribbon school. Students sent me a book’s worth of thank-you letters for preparing them so well for college. I graduated from grad school with highest honors while also teaching full-time. I was about to begin my PHD. You could say I was fulfilling my calling. I felt most myself when I was teaching. And then I left the classroom and had my first son. I was going to be a rock star mom. I took classes galore, read every parenting book under the sun and imagined a contented baby who kept to my schedule. Then he was actually born-with severe colic and reflux! He didn’t sleep through the night until he was almost 3 and even sleep experts gave us our money back, citing that “he’s just not a sleeper”. I spent my days cooped up, changing my clothes and his every other hour, and wondering what I was doing wrong. For the first time in my life, I felt totally helpless and suffocated, even though I loved my son with every fiber of my being. That was just the beginning of the realization for me that God wasn’t joking when He told me that my life was not my own and that I could expect trouble, but that in the midst of all that, I could be like a tree planted by waters. I could thrive if I kept abiding in Him. Just ask Joseph who spent years in jail after his brothers sold him into slavery before God refined him and set him as ruler over all of Egypt. I bet he questioned his purpose a lot in that dank cell. For me, the idea of returning to what I felt best at--teaching and leading in the school setting, was never a consideration. I had always wanted to be a stay-at-home-mom, but more than that I felt called to be at home for this chapter, and for most of those years I have become a work-at-home-mom, balancing both full-time parenting and part-time work as a property manager, tutor, writer, and now TV and film producer for the company my husband and I run together. My kids are a part of my work day and though it took time, we have a fluid schedule that we worked hard to make work for us. Our culture tells us that whatever makes you feel good, you should do. Find the easiest path because that’s the best path. And even our church will tell us that using God’s gifts to their fullest potential is His will for you. In some degrees, those sentiments are true. But not always. I felt in my core, that God wanted me home with my boys and being a wife to my husband first, and that all other things would fit in the gaps. It has not been easy. Or fun all the time. But hard does not mean wrong, or bad. Challenge is not a red flag. It’s a white flag that should propel us towards surrendering to God. 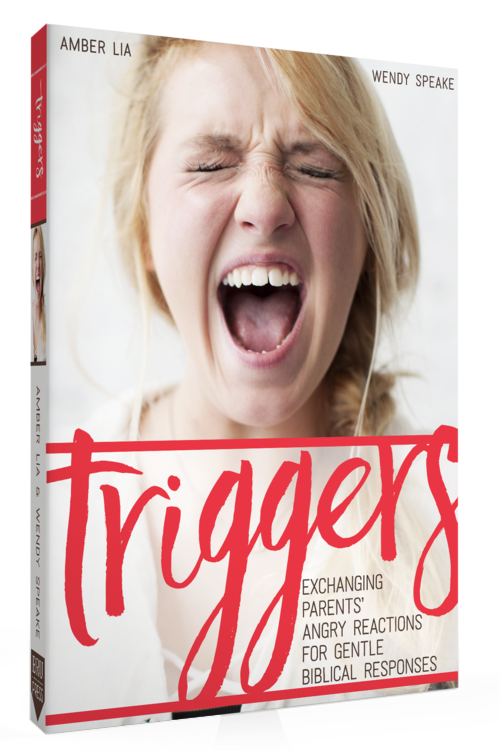 I want to encourage those moms who are feeling a bit stuck, or wishing their lives were easier, or more fulfilled. 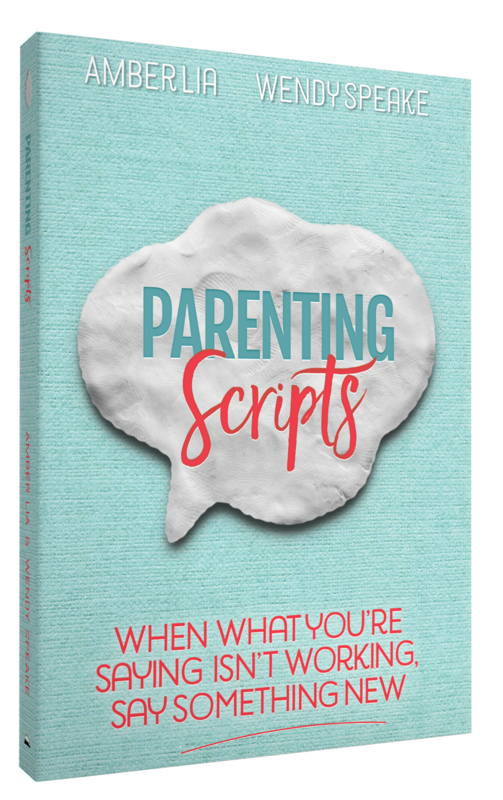 For the mom who wants to be home with her kids but feels like she is just barely keeping her head above water, questioning if she should even be a mother. This new stage of being home with your little ones is a challenging chapter. Let me say that again. It’s a CHAPTER. You can “have it all” in stages. This stage is possibly the most difficult one you will face, but it is worth it. Be encouraged. As much as I thrived as a teacher, I have never grown more in my life than when I was serving my husband and children, leaning on God for help in ways I never had to as a teacher. Teaching came much easier to me than parenting. There is no doubt about it-my spiritual growth has never been more practical now that I am in the trenches and out of my element. I am forced to rely on God in deeper ways, and that alone has been worth it. Don’t get me wrong, there are countless good times with my boys and they bring so much enrichment to my life that I can barely breathe when I count the ways. I truly wouldn’t change a thing. But being home with kids is no joke. It's refining! And ultimately, that’s what I want most for my life--the hard choices that will make me more like Christ. For me, that’s what being home with my kids means. God doesn’t just want me happy. He wants me to be Christ-like. It took time, but I have learned to be content. If I was doing whatever I wanted or made me feel my best, I wouldn’t’ have to learn that. God has helped me to truly love and thrive while I am home with my sons. If you are a mom at home with your kids and feeling like a failure, or overwhelmed by the needs all around you, use all the creativity of the Holy Spirit at your disposal. Put your master’s degree of intellect towards parenting well, and add into your life things that are just for YOU. Join a local meetup group of moms and get out of the house. Pick one area of training that you can focus on for the month--like teaching your kids to share, and pray for insight from the Lord to help you communicate and implement it in your home instead of becoming overwhelmed by ten different areas of child-rearing at once. Go out with your girlfriends or join a book club once a month. Serve at your local shelter or help maintain the community garden in your area. Read a novel for the first 20 minutes of your kids’ nap-time or pull out your scrapbook supplies and do something creative for half an hour. Go ahead and invite a family over for Saturday brunch, even if you know you won’t have time to mop the floor or put away all your laundry in time. Keep a running list of things you are thankful for every day, jotting down your blessings and the GOOD things you see in motherhood. Think on things above, not earthly things. Expand your world a little bit, so you don’t feel consumed by your kids. Just because you may not feel that you have this motherhood thing down, that doesn’t mean you chose the wrong path for yourself. I have never yet met a mom who feels like she has it all together. Not one. We are all in good company. It’s a process for you to grow in new ways, and to pour out your life for the needs of others. It’s a chapter of life where you get to sacrifice for the benefit of others, just like Christ did for you. And it’s an opportunity for you to learn how capable you really are, with the strength and wisdom of God to move you forward with a joyful spirit. Don’t hang up your apron when the going gets tough. The work you are doing is Holy. It’s not about your performance or getting everything right or listening to your feelings and emotions. When we take our daily challenges to God, becoming infused with His wisdom and strength, we are right where we are supposed to be--even if that means at the kitchen sink scrubbing dishes with a baby on our hip. Press on! Delight yourself in the Lord, instead of your performance or environment. Ask Him to help you feel fulfilled, and love those kids sacrificially. Treasure the challenge, don’t avoid it. I can hear Him begin to whisper, “well done, my good and faithful servant” and there is nothing more fulfilling than that. Also--there is a highlighted affiliate link in this post and when you make a purchase via the link, Amazon gives me a few cents to help my ministry at NO extra cost to you! Thank you so much! YOUR TURN! What’s your biggest challenge in this chapter of motherhood? What has been your biggest blessing as a mom in the trenches? Please, share this post with others that may be encouraged too!